You can make this pretty tote bag from pleather but also from real leather if you prefer! It’s a perfect bag for all your things! 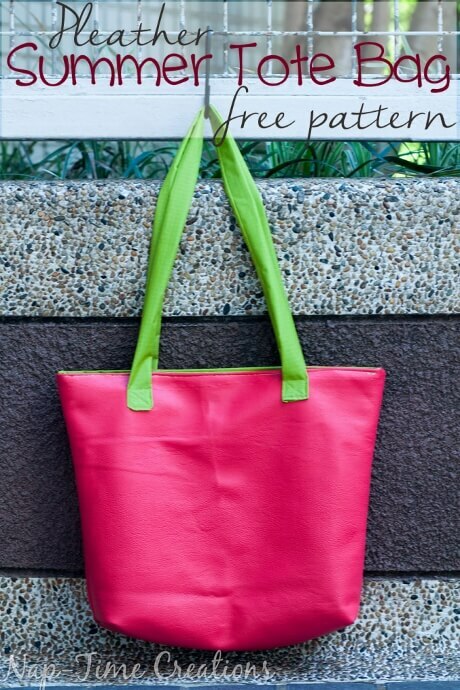 Get this free pleather tote bag pattern today! Ready to make for yourself? If you always wanted to learn how to sew with leather to make purses and bags, you might be interested in taking a course. We can recommend Craftsy’s course for Making Leather Bags.